In a video shared by Williamson County Sheriff Chody, a deputy is shown being pulled by an accused intoxicated driver during a traffic stop. 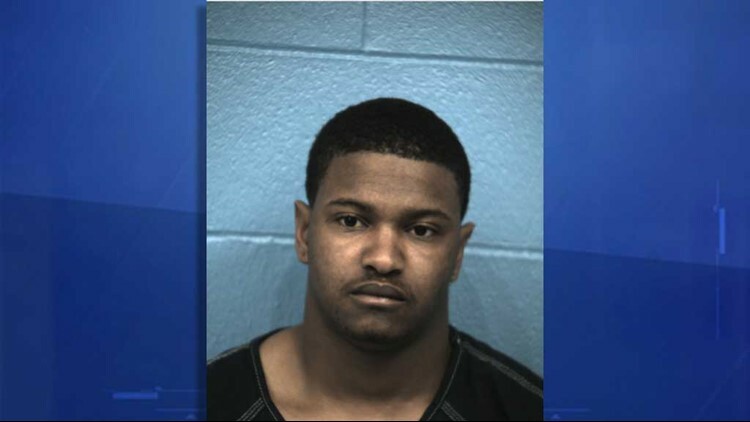 A Williamson County deputy was nearly killed Wednesday after an intoxicated suspect drove off while the deputy was next to the vehicle, according to a press release. On Feb. 7, around 3 a.m., Deputy Tabytha Horseman conducted a traffic stop on a vehicle driven by the suspect, Jonathan Nunnally, 22. Horseman was then dragged by the vehicle as Nunnally began to accelerate. Nunnally was arrested and charged with aggravated assault against a public servant with a deadly weapon. In a tweet from Williamson County Sheriff Chody, the video of the incident that was caught on the officer's dash cam. It shows Nunnally allegedly driving off while the deputy was standing next to the vehicle with the driver's door open. The suspect also was allegedly in possession of marijuana and cough syrup at the time of the incident. According to a press release from the Williamson County Sheriff's Office, Deputy Horseman was not injured during the incident. Sheriff Chody said Deputy Horseman began working for WCSO in April 2013 as a corrections officer, and in Aug. 2017 transferred to the law enforcement division as a patrol deputy. This was her first month patrolling alone. The sheriff's office said Nunnally is currently in the Williamson County jail with a bond set at $500,000. According to the sheriff's office, the reason why the officer approached the driver was because his car had been sitting at the intersection for cycles of green lights. "The driver finally awakens and notices her," said Sheriff Chody. "And actually starts to ... to leave. Like the light turned green. And this is where she opens the door, and he stops. And she identifies herself and they start having a conversation." In the conversation, the deputy asks for the driver's keys. But instead of cooperating, the driver turns on the car and takes off. Before backup could arrive, a Williamson Co. sergeant was going home and happened to get a glimpse of what was happening and helped. Sheriff Chody points out the deputy could have used deadly force, but did not. "I am, as a sheriff, extremely proud of her actions today," he said. He said he does not think she put herself in harm's way. "I think she made a decision that she thought was best," Sheriff Chody said.